First, I want to thank everyone for the lovely birthday wishes in my last post. Every message made my day just that much better, truly. Over the past week or so, I’ve gotten a deluge of messages about my process of going from bright red to platinum blonde hair, and so I thought I’d type up a tutorial to help out those of you interested. Let me preface this by saying that I am not a hair professional, nor will my process necessarily work for you. I have naturally blonde hair, so if your hair is darker, you may need to adjust this process. Furthermore, going blonde involves bleaching your hair, which is a highly damaging and risky procedure – but it is the only way to go from significantly darker to lighter hair. Please research hair bleaching online before deciding to try this at home. The only reason I am posting this tutorial is because it has been requested so many times; however, I only do so with hesitance because you can seriously mess up your hair! Please keep in mind that bleaching your own hair may end up costing you more money than a professional dye job if you have to fix it several times. For the best results, do NOT rush this process over night, and do plenty of research online first – and ONLY do this if your hair is in a very healthy condition. Also, please see the standard hair level chart to determine what your current level is, and what level of blonde you are trying to achieve. I went from about a level 5 to a level 10 over the course of a couple of weeks. Step 1: Remove any dye in your hair first. For this process, I used a bleach-free product called “One ‘n Only Colorfix” from Sally’s. This particular product removes hair dye by shrinking the dye molecules, so it leaves your hair in the same condition. I hadn’t redyed my hair in a few months, so I only had to do two cycles of this to wash out the red almost completely. One box was enough for both cycles, and I have really long and thick hair; however, if your hair has been recently colored, or is a very dark color, you may need to do more than two cycles. Washing out the dye in your hair will minimize undesirable orange/yellow/or green tones when you bleach it, so I highly recommend taking this step if you have any artificial coloring in your hair. When you rinse it out, it may also help to use a silver (also known as a purple) shampoo, such as Jhrimack’s, which can be purchased at Walgreen’s for $5. This shampoo is violet-tinted, so it will help minimize yellow and orange tones also. Step 2: Bleach your hair. This is the most frightening step, and understandably so. Bleaching can not only discolor your hair, but it also damages hair severely. Even a veteran self-hair-dyer like myself was nervous for weeks before I took the plunge and bleached it. Damage done to your hair via bleaching is irreparable, so please do plenty of research prior to attempting this on your own. Shampoo your hair as infrequently as possible. This is not as gross as it sounds – you can still shower, just avoid using shampoo except every 3 or so days, and condition the ends rather than the roots. This will allow your hair to retain its natural oils, which will prevent dryness when you bleach it. TRUST ME on this one. When you do condition your hair, put it in a shower cap and let it sit for 10-15 minutes before rinsing it. The shower cap will lock in the moisture. Trim your ends regularly. Split ends cannot be reversed, but trimming your hair will prevent the splits from traveling up the shaft of your hair. I usually just trim my own ends, but some of you may be more comfortable having a pro do it! Before bleaching your hair, watch MonetMakeup’s hair bleaching tutorial on Youtube. She offers some invaluable advice when bleaching, and her process worked great for me. I won’t list out the process here because she seriously covers EVERYTHING. You don’t have to buy L’Oreal’s Quick Blue bleach specifically, but any blue bleach will give you a better tone than a white one if you are coming from red or orange-tinted hair. Also, when purchasing your developer, it might be helpful to ask a sales assistant for advice. I used a volume 30 developer, but I only needed to bleach my hair once. Depending on the level of your natural hair, you may need to do a few bleach cycles, in which case you should probably use a level 20 developer to minimize damage. And as painful as it sounds, if you DO need to do more than one bleach cycle to achieve your desired color, wait at least a few days between each cycle to bleach your hair. Almost always, you will need to tone your hair after bleaching it in order to rid your hair of unwanted orange and yellow tones (an almost unavoidable product of bleaching). Toner uses a base color, such as violet or blue, to neutralize your hair color. Toning your hair will not lighten it, but it will improve your hair’s luster and color. The base color that you will need will depend on what your hair color is after bleaching it. 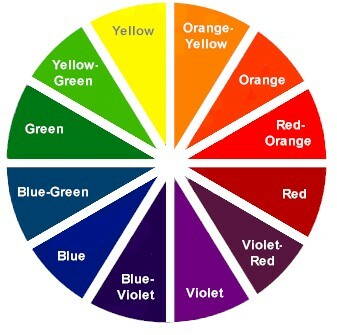 In order to determine which base color you need, determine what your hair color is after bleaching, and select the opposite color (for those who aren’t art majors, here is a color chart). I used Wella’s “White Lady” (T18), which is a violet toner, and it gave me more of a platinum-white shade of blonde. In my photos my hair looks quite golden, but it is much more neutral and lighter in person. Mix this toner with a 20 volume developer, and apply to your head. Let it sit under another processing cap in order to maximize its potency for the amount time listed in the directions. Depending on your resulting color after toning, you may need to buy a blonde dye to tweak your color even more. I used one tube of “Lightest Ash Blonde” by Ion that I purchased from Sally’s, which I used with a level 30 developer. This made my hair slightly lighter and slightly more neutral in tone. As you can see, the bottom layers are much more orange than the top – that’s because I ran out of toner halfway through and had only toned the top half. I plan on finishing the job later, once I give my lungs a break from inhaling too many chemicals. As you can see, the toner really helps to neutralize the color. P.S. I want to thank Angelina and Sydney for the invaluable advice they gave me. Please do not bombard them with hair questions (as that is not the purpose of their tumblrs), but DO check out their blogs. P.P.S. If you are ballsy enough to risk this tutorial, please let me know what your results were. I am curious to see how successful this method is for others! Hello, how are you? I should dye my hair with henna? I always like to follow their advice regarding the care of hair. I want to go from brown to red. I have much fear of making a bleached my hair. You definitely do NOT want to add henna to your hair if you have any intentions of bleaching it, lightening it, or colouring it differently. All hairdressers will tell you that to change colours with hair that has been hennaed, you must grow it all out completely, and cut all the hair off that has the henna. If you want to go red, dye it with a commercial dye. Actually, that’s only true if the henna you used isn’t BAQ (body art quality) henna. Not sure why all hairdressers have that misconception, but after talking to so many, I think most are just biased. I’ve stained my hair with BAQ henna since my first year in college, so like three years, and I just bleached it out recently. Sure, my hair’s now a strawberry blonde rather than just blonde (which I can fix), but I have no worse damage than I would have had I waited another three years, grown it out, and dyed my natural hair. If you DO use non-BAQ henna and bleach it, however, yes, the results are devastating. As recent as today I took the plunge and bleached my hair (after quite a bit of think, of course) to lighten the brown I have and take it to a lighter medium brown. Thank you so much for posting this! My hair was naturally blond growing up. Then it turned brown on it’s own and I’ve been coloring it red for years. When I colored my hair a couple months ago, I went back to a brown a shade or two lighter than my natural color, but my husband has been saying he’d like to see the blond again. This is perfect timing! I have a friend that does my hair for me (she works at a salon), and she said she will only do blond highlights because it’s such a drastic and dangerous change. However, if after the highlights I still want to go all blond, I’m totally going to try your tips so thanks for this post! Will definitely try this next time I feel like going blonde. Last time I went blonde I listened to some ill-advice and I turned out hating it! Thank you, first and foremost, for putting that disclaimer up. Too many Internet users get excited about wanting to transform their hair colour after seeing a couple before and after pictures, or a four-minute YouTube tutorial, and impulsively make the decision to do it without a lot of thought. They don’t realize the amount of care and time that goes into a proper dye job. This is a really good tutorial! I agree completely with the point about not shampooing your hair often, and recommend keeping this habit after bleaching too. It’s not dirty, and over-washing sometimes leads to extra grease production anyway, so why not! Hi! I have been wanting to go from my dark red/brown hair to a dirty blonde/light brown for a long time now… But recently got it dyed again in June. Is it too early for me to strip my hair and try to go blonde after only 2 months since my last dye? Thanks so much! You have beautiful hair! Mine is naturally red and pretty fine. I wish I could go back and forth without it drying out and preventing future growth! So I stumbled upon your website and was captured by the beautiful picture of your red hair. As I delved a little further I found this tutorial. I am a hair stylist with over 4 years of experience, and I have to say you did a nice job on your hair. It’s seriously challenging to go from red to platinum, so im quite impressed. I also wanted to let you know that anytime you use a “toner” aka demi-permanent color you should be using 10 or even 5 volume developer. When you use 20 volume you blast open the cuticle again, and it provides less deposit. You may need to watch the color though, because it will deposit more color and probably develop faster. However, you will definitely notice that the toner will last longer, as your cuticle will close up much more. It’s also a good idea not to wash your hair for about 48 hours after toning so the cuticle has even more time to close up. Hope this helps, I look forward to your next hair tutorial. I am going to attempt the same thing- however, I used a demi-permanent red/brown in a 6, so do you think the Color Fix will take that out? If it does, I don’t think I will even need bleach as I was blonde before this from highlights- plus I am only going from a level 6 to a level 8 for now. i really wish i had seen this earlier this year. i went to a salon to go from red to blonde and they messed it all up. bleached it wrong died it wrong. tons of my hair fell out and broke off. my hair was to my waist and after it was just under my shoulders . =( this could have saved me so much hassle. If you read the tutorial, she said she’s naturally BLONDE, not red. She’s going “back” to blonde. We do not “dye” hair, we COLOR it. Get it right or don’t post a tutorial about something obviously not in your field. Maybe YOU color hair, but as we can both agree, I’m not a hairstylist so I’m perfectly fine with foregoing the euphemisms and dyeing mine. If semantics isn’t your field perhaps you shouldn’t venture into it. If you have red hair and you dye/color it will it grow back red?? If your hair is a natural red, it will grow back red. I am a natural red head from birth and have changed my hair color a number of times. It’s VERY hard to get the red out no matter what color you change it to. I have used henna on multiple occasions. Lately I’ve used it exclusively because my hair is turning white and it grows very fast. I have to touch up new growth every 2 weeks and henna makes my hair extremely strong and healthy. This looks amazing! Your red hair is the same color as mine is now & I can’t wait to try this method to go back to blond! Your hair is beyond gorgeous & the perfect shade of blond. Noo offence to the comment about her hair but it is not very nice to hear that you’re putting things like this on the Internet if this is how she likes her hair then she can have it like that and the point is that you have nothing to do with it. Yes you are entitled to your own personal opinion but keep it to your self. I was so happy when I found this and I’m so excited to be a blonde in a couple days, but I was just curious as to how long you waited between using products? For example, did you use the color fix and then the next day bleach your hair or…? -brand of hair color you used last (alot of box colors contain metallic dyes which can react with bleach or a color (dye) stripping kit. Resulting in your hair melting or snapping at the new growth). ALWAYS DO A TEST STRAND!!!! -Level of your last dye job. If you colored your hair black or dark brown, good luck. A light natural red such as above is NOT that hard to get lighter. A dark intense red will result in orange frazzled hair, and no matter how many times you bleach it, it will never go lighter that an 8(medium blonde) orange. -If you have new growth (natural hair at the roots, from the color growing out), if you put bleach on your roots at the the same time as the rest, you will have white roots and orange ends. – if your hair is damaged after the stripping and bleaching process, a toner (if not done correctly) can turn your hair blue, purple, green or mucky. PRETTY! best advice: DO A TEST STRAND!!!!!!!!! cut a strand from the middle back of your head (about 2 inches from the scalp and cut at an angle) and test it! serious business. It will tell you what your whole head will look like. Love the test strand idea, I have to say that’s really helped me. By the way I came from dark, intense red and am now so bright platinum that I need to to dye it down (used the lightest blonde toner Sally’s had in fact!) I’m happy but will be more pleased with an ash color :) my secret is: coconut oil soaks in between processes, no excuses…and bleaching through grape seed oil. That’s right, THROUGH the oil! Otherwise I think I’d have no hair. I WANTED TO COMMEND YOUR ABSOLUTE PROFESSIONALISM, YOUR CONCERN,GIVING” US” (MEANING THOSE WHOM READ YOUR BLOG) A SERIOUS CONCERN OF SAFTEY ISSUES, AND IN FACT PROVIDING” US “ADVISE IN DESPRIATE OCCASIONS WE ALL NEED, AND ACCESSIBLE ONLINE! im going to try this ,when i was blonde before i used the wella white lady t18 and the 20 volume i think. this is extremely useful, I am still contemplating but wanted to say thanks for putting this out there. you make a lovely blonde. Good advice! As jess says always do a strand test,! Also try not too bleach your hair much as it literally will melt as mentioned above! It’s not nice seeing your melted hair cover the bath , trust me ! I managed to get my hair to platinum blonde from jet black, but it has taken nearly a year of highlighting and bleaching , many haircuts to remove dead/ chewing gum like ends and being so many dodgey shades of patchy orange! I have bright red hair can i get the same colour as yours quickly? no. you will be orange. Thanks so much for the tutorial! I did this in December, and it worked amazingly. I’m a natural dark ash blonde, and my hair was subject to several years of red hair color. It was actually slightly darker than yours before beginning the process. One week before using Colorfix, I crushed up 25 vitamin c tablets in aveda detox shampoo, let that sit for a half hour under a cap, and rinsed. It made my hair just a shade lighter (I’ve done this to correct color mishaps before). A week later, I did the Colorfix, but it didn’t budge the color any more. A week later, I bleached. Sadly, I didn’t have enough powder bleach (used the blue sally brand) my first time around (just buy the bucket! ), so I skimped. With the 20 developer and a few drops of the red color eliminator from Sally’s, I did most of my hair, with roots followed by ends last. I toned with the Wella T18 and 10 developer on towel-dried wet hair, leaving it on for 10 minutes. About 1/4 of my hair (new growth) was very light, but the rest pretty dark, so I needed another round. One week later: same routine, with results that were much more even. Your hair will feel awful when you rinse it – but just keep conditioning throughout the week, try not to wash that much. It’ll get better. I just did my roots for the first time (this was 5-6 weeks of growth) with the Ion color you listed above + 20 developer. After 30 minutes, I emulsified and spread throughout the rest of my hair, letting it sit for 10 minutes. Rinse, shampoo with my KMS purple shampoo, condition, and it looks great. It’s not for the faint of heart. But if anyone else is looking to do this, you need be very gentle, be patient, trim your ends, condition, use the purple shampoo, get some argan oil spray to protect your hair, and not let the folks at Sally’s freak you out! Melissa – I’m so glad to hear it worked for you! Thanks for sharing your process. I agree, it takes a lot of patience and care! Hey Jess! Thanks so much for your input. I agree, doing a test strip is always the safest way to determine how the process will work out! I really hope no one is reading this and thinking it’s a cut-and-dry process, hence why I was very particular to specify the levels I was going, my dye history, how recently I had dyed my hair, etcetera. This process will not work for everyone and I hope I made that clear! I also hope people are supplementing this tutorial with their own research. This definitely isn’t something people should attempt on a whim or overnight. Hi, did you use step 3 from color fix? I don’t think this would work for henna. I used synthetic professional hair dye, but henna is a completely different beast! One of the primary attributes of henna is that it (supposedly) tints your hair red permanently. I think color removers like Colorfix aren’t meant to work for henna, though I could be wrong! I would recommend doing research on how to remove henna dye first before trying this method. Good luck! My name is Sam. First, let me just say you are gorgeous, and I’m so happy I discovered your blog! I recently decided to go red, but it’s just not me (you pull it off way better!) So upon googling “red to blond hair” it directed me here. Let me just say, THANK YOU for posting these detailed instructions and products! I’m currently in the process of stripping the color is it is already looking better. Thanks again! I am from the UK and cannot seem to find the One ‘n Only Colorfix on a website that ships to the UK… any suggestions?? I am naturally blonde, dyed red, it faded too quickly so got fef up with it so had my hair dyed brown in a salon. Want to be my natural lovely blonde again and hoping One ‘n Only Colorfix will do the trick?? Hi there, I’m planning on a different route to how you dyed your hair, I’ll share a before and after photo with you. I am planning on doing this in just under a week. Hey! Thank you for your tutorial! I actually am going from black to light golden blonde. I had the same plan in mind that you laid out in the tutorial. It’s definitely reassuring to read this and know that I’m going in the right direction. After the color stripping process, my hair is still REALLY dark…but auburny red. We’ll see what happens when I put in the bleach! (I’ve got enough for a few applications….should it be needed.) Thabks again! Thank you so much for introducing me to Colorfix! With these instructions, my hair is as close to its natural color as it has been in years, despite many levels hair experiments dyed in. A tip for those with blonde roots growing in: wait until the bitter end to apply bleach. I applied it after the rest of my head but ended up having to the bleach on for longer than I anticipated; between that and the heat from my scalp, I ended up with an inch of Daenerys Targaryen-level blonde. I’m still happy not to have ended up with goodness-knows-what! A tip for those with blonde roots growing in: wait until the bitter end to apply bleach. I applied it after the rest of my head but ended up having to leave the bleach on for longer than I anticipated; between that and the heat from my scalp, I ended up with an inch of Daenerys Targaryen-level blonde. I’m still happy not to have ended up with goodness-knows-what! So now I have beautiful natural looking blond hair that I’ll need to do a lot of deep conditioning on, and I’m about to get a haircut for the split ends. OMG!!! I have been trying to get my light copper blonde hair (natural dark brunette) the exact color of red you used to have for 4 months now! Can you please tell me what color you used to get it? What I do now is bleach my brown roots first and dye it natural copper blonde to match the rest of my hair but what I really want is the red in your before photo!!! Would you mind telling me what brand , name, shade and technique you used to achieve it? I thank you so very much for your help! By the way, you ARE STUNNING in both colors!! Thanks in advance, Kathleen. Was tired of my red hair and did the literal exact steps that you have posted here and it came out so beautiful! Thank you for your post! It helped so much! I have never tried toner before, and it made a big difference! This worked great for me. It was super intimidating and the oh man through the process it looked crazy! After the remover my hair was multi colored orange and yellow and white with dark roots, then last night after the bleach I over compensated and applied to my roots too soon rather wait until halfway through the processing time so then my roots were white and the rest was yellow. At least it looked that way when damp. I woke up with more evenly yellow hair. Then the purple toner looked a bit unnerving while it was in and after it still looked like yellow spots as it dried but now that its dry its fine. I’m gonna give it a rest and do some coconut oil hair masks and in a week or so I might do a darker blond so I don’t have crazy roots. But I might as well rock the platinum while I got it lol. Wish I could post my before and after pictures here. I love your blog. I’m a stylist, but I still like seeing outcomes of non hair stylists hair experiments. I think you did an amazing job. That YouTube link is worrisome as she seems to be stripping her hair with haphazard partings and smushing it through which can cause a great deal of breakage. I do like that she said not to color the roots or ends. However, your hair’s awe-inspiring. I recently Color Oops-ed my Redken 7cc hair, it didn’t pan out too well. I’m having a really hard time lightening it. I guess color removers work better on certain colors. I am waiting and rebleaching but probably in a few days so my hair can recover. Then I can tone. Definitely not something that should be attempted in one 24 hr period. Or a week even. Thanks for showing your before and afters! I am currently attempting this process :) hopefully it comes out as great as yours! Wow! I can’t even decide which color suits you better because you made both of them look absolutely stunning on you! I was at Sallys and was going to follow these instructions to a T. I also am naturally blonde like medium to dark blonde. I was starting with red dyed hair that hadn’t been colored for two months. I have very long thick hair like you and very healthy. When I was at Sallys, the consultant insisted that I did not strip the hair and follow with bleach. She said this would fry my hair and it would likely fall out. She said I just do the bleach and that would strip the red. Specifically not to do both. I asked her more than once if she was sure because I needed the red to be out. She insisted. I skipped the stripper and went straight to the loreal quick blue and level 30 developer. Needless to say there was a lot of red left over that now looked very orange. I thought that lady must have been wrong and I should have stuck to my gut feeling. I ended up bleaching, sigh, one more time but with a 20 developer to be more gentle this time. It did nothing and I’m still sick with large orange blotches and patches. Anything that I can read says to do a stripper then bleach. So stupid. I already tried the T18 toner and nothing. What I can find now with research is that I need to keep bleaching until all hair is yellow not orange. I am not willing to keep bleaching because my hair will be destroyed. Plus it’s not working. For a natural blonde there is no reason I should have to bleach more than twice. I don’t know if I should now apply the lightest ash blonde dye followed by more toner or if I should apply stripper and then the hair color. Any help or advice would be very appreciated. I cannot leave the house with orange hair. Hello, Julie Christine! Speaking from personal experience, I did not have a problem stripping my color first and then using bleach (as outlined in the process above). I am so sorry that the consultant steered you in a different (and clearly wrong!) direction – as doing multiple bleach cycles on your hair will definitely damage it. I am not a hair stylist and I haven’t dyed my hair in over a year, so I’m extremely hesitant to offer advice. However, I do agree with you that bleaching your hair again will be extremely damaging. A word of caution: putting toner in my hair has always made it feel dry and damaged as well – just as much, if not moreso than bleach. Also, if you have bleached your hair a lot, it might have trouble holding dye or toner, as bleaching your hair blasts open the hair cuticles, making it more porous/less receptive to dye. I would definitely seek advice from a professional – if not have a professional fix it for you. You don’t want to do extreme damage to your hair! Sorry for the trouble you’ve had with your hair. Red hair color is always a pain to undo, and I’m sorry the process has been so difficult for you! I had an Raspberry Red and I recently now have a red orange with like yellow hair going on! ive read online on multiple pages that an “ash” color will help , but idk which ash color i should go for since theres ash blonde and ash brown? help please! I just did all the steps. I am blond for sure… However I do have what look like streaks of red ( almost like I did it on purpose) and I’m not sure I like them… I might go buy a darker blond and work the roots to ends to try and blend it a bit Better? Any suggestions to get the rest of this dreadful red out of here ? My hair is an auburn brown and I want candy floss pink hair. Tonight I’ve bleached it and my roots are a bright white blonde but the best is a nasty orange tone! I know I can’t bleach it again too soon because it’ll damage it but I have work in two days and it looks awful!